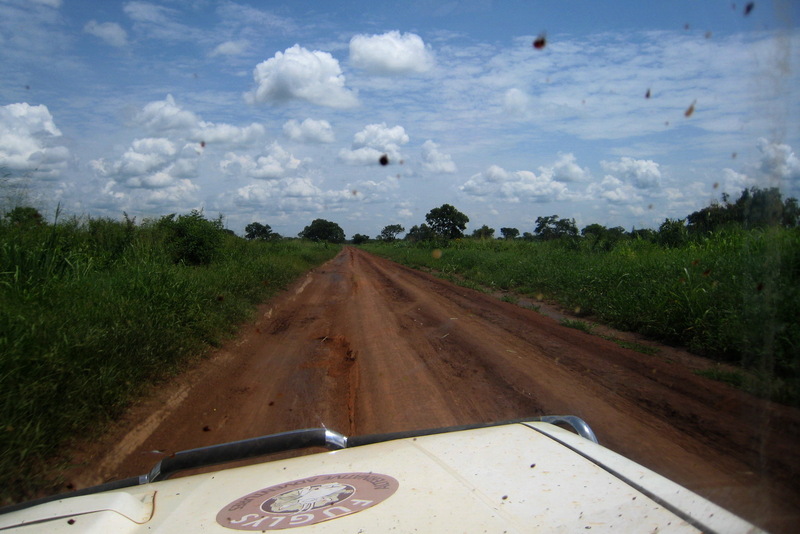 Any time estimate that anyone could give would be deceptive because none of the road is paved. Your speed will depend too much on your vehicle, the driver and condition of the road, especially amount of mud or wash-board corrugations. The day we measured this distance it took us 4:40, but this is one of our slowest trips, and we often made it in under three hours. Give yourself plenty of time, as the drive itself offers fantastic views, especially after Orom. At least traffic is never an issue out here! Follow these directions closely, even if they conflict with printed maps, which are often inaccurate. You can usually identify villages based on NGO project signs. The route directly the park guest offices and government-run “UWA Bandas” hostel at Apoka is mostly the same. 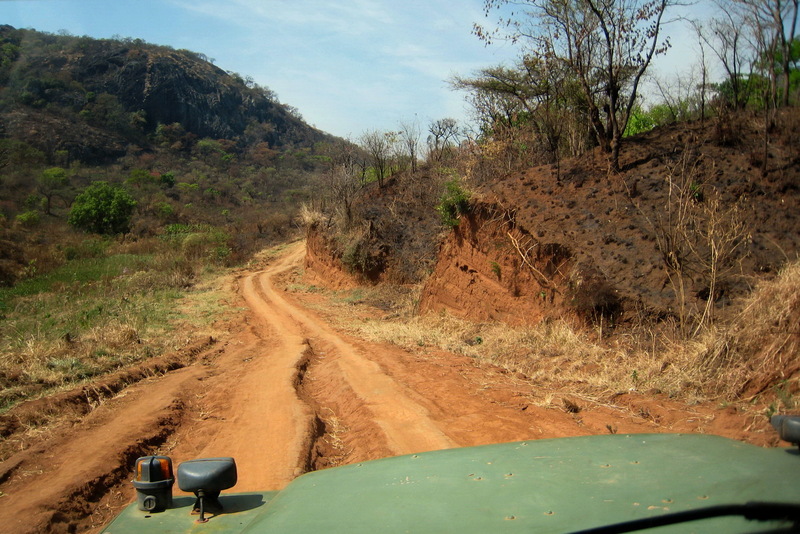 Instead of turning right at km 116.29, go straight, passing to the West of the Geremech inselberg. 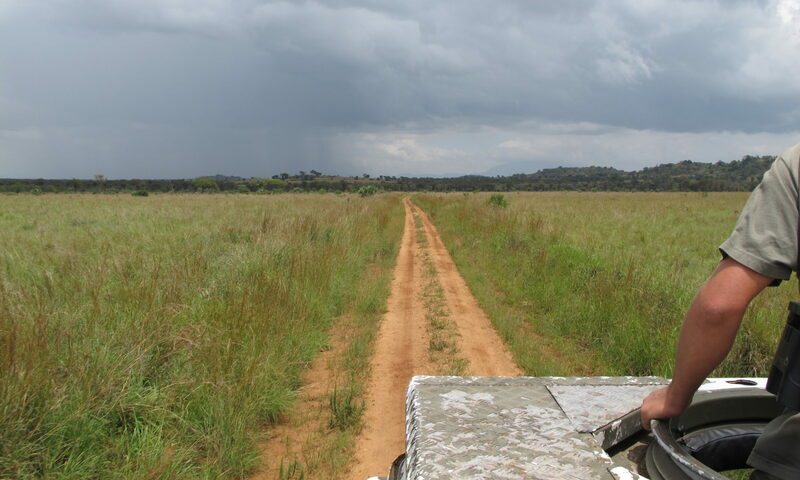 This leads directly to the Katurum Gate, from where you can follow my printable Kidepo Valley National Park map. Anyone planning to self-drive to Kidepo needs to be aware that these roads are all hazardous and isolated. There are no emergency medical services or vehicle services. Many sections have no mobile phone network coverage at all. Disclaimer: This routing is provided “as is” without any guarantee of accuracy, timeliness or completeness of the information contained therein. The indicated routes are based on past conditions and are not an endorsement for any purpose. Travel is inherently dangerous and the traveler assumes liability for all activities related to the use of this map. Consult a qualified tour operator before traveling.